24th Congressional District candidates Salud Carbajal and Justin Fareed talk about what they will do to help SLO County transition to a post-Diablo Canyon Nuclear Power Plant economy. Justin Fareed and Salud Carbajal talk about the most impactful thing that congress could do to bolster the economy and help businesses. Salud Carbajal and Justin Fareed talk about what they will do to continue the Central Coast’s history of environmental protection. Justin Fareed and Salud Carbajal share one of their personal core values and why it is meaningful to them. Salud Carbajal and Justin Fareed talk about the most significant difference between them and their opponent. Jordan Cunningham and Dawn Ortiz-Legg talk about what motivates them to serve in public office. Dawn Ortiz-Legg and Jordan Cunningham talk about the most significant difference between them and their opponent. 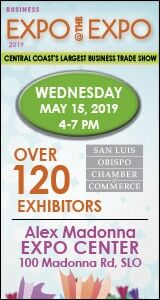 Jordan Cunningham and Dawn Ortiz-Legg talk about what they will do at the state level to support the increased interest in the establishment and growth of manufacturing and technology companies in San Luis Obispo County. Dawn Ortiz-Legg and Jordan Cunningham talk about what they will do to help SLO County transition to a post-Diablo Canyon Nuclear Power Plant economy. Jordan Cunningham and Dawn Ortiz-Legg talk about what they want voters to remember about them when they cast their vote. John Peschong and Steve Martin talk about what their top two priorities would be, if elected. Steve Martin and John Peschong talk about how the board of supervisors should tackle San Luis Obispo County’s infrastructure and land-use needs. John Peschong and Steve Martin talk about what they would do to attract and retain jobs in a post-Diablo Canyon Nuclear Power Plant environment. Steve Martin and John Peschong talk about the most significant difference between them and their opponent. John Peschong and Steve Martin talk about what they want voters to remember about them when they cast their vote. Adam Hill and Dan Carpenter talk about what their top two priorities would be, if elected. Dan Carpenter and Adam Hill talk about how the board of supervisors should tackle San Luis Obispo County’s infrastructure and land-use needs. Adam Hill and Dan Carpenter talk about what they would do to attract and retain jobs in a post-Diablo Canyon Nuclear Power Plant environment. Dan Carpenter and Adam Hill talk about the most significant difference between them and their opponent. Adam Hill and Dan Carpenter talk about what they want voters to remember about them when they cast their vote. Meet Heidi Harmon and Jan Marx, the candidates running for the San Luis Obispo mayor’s seat. San Luis Obispo mayoral candidates, Heidi Harmon and Jan Marx, talk about what their top priority would be while on the City Council, if they were elected. San Luis Obispo mayoral candidates, Heidi Harmon and Jan Marx, talk about what they see as the City’s role in transitioning to a post-Diablo Canyon Nuclear Power Plant economy. San Luis Obispo mayoral candidates, Heidi Harmon and Jan Marx, talk about what they see as the biggest opportunity to create housing for the city’s workforce. San Luis Obispo mayoral candidates, Heidi Harmon and Jan Marx, identify the issue that they believe has the biggest negative impact on local business. Meet the six candidates running for the two open San Luis Obispo City Council seats identify the issue. The six candidates running for the two open San Luis Obispo City Council seats talk about what they see as the biggest opportunity to create housing for the city’s workforce. The six candidates running for the two open San Luis Obispo City Council seats talk about what they see as the City’s role in transitioning to a post-Diablo Canyon Nuclear Power Plant economy. The six candidates running for the two open San Luis Obispo City Council seats talk about what their top priority would be while on the City Council, if they were elected. The six candidates running for the two open San Luis Obispo City Council seats identify the issue that they believe has the biggest negative impact on local business.